The international community of pathologists recently lost “one of its icons”, John Azzopardi, according to an article which appeared in the American Journal of Surgical Pathology and the European Journal of Pathology. The article, published by Lippincott Williams & Wilkins, and written by Vincenzo Eusebi, from the Department of Anatomic and Surgical Pathology of the University of Bologna and Thomas Krausz from the Department of Anatomic Surgical Pathology at the University of Chicago, said Prof. Azzopardi was consulted by pathologists from all over the world and provided expert opinion “free of charge”. 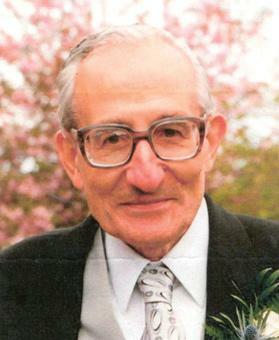 Prof. Azzopardi was born in Malta on January 2, 1929, and died in London on June 25, aged 84. The article points out that he started his medical training at the Royal University of Malta in 1942 “at the tender age of 13”. After he qualified as MD in 1949, he moved to England and soon took up a scholarship to attend a course on pathology at the Royal Postgraduate Medical School, Hammersmith Hospital, London. “Apart from brief sabbaticals, he never left ‘his’ hospital. He was appointed to the academic hospital staff and rose through the ranks from junior posts to Lecturer, Reader, and Professor of Oncology until retirement,” the article states. Prof. Azzopardi was invited to spend a year (1960-1961) at the prestigious Armed Forces Institute of Pathology, Washington DC, and two months at the University of Bologna in 1972. It says he gave several well-received lectures in various European countries, but adds that he was fully ‘discovered’ by the North American Pathologists in 1975, when he was invited to speak at the annual California Tumour Registry at Stanford University. Although this visit resulted in several job offers in pursuing an academic career in the US, he never left the Royal Postgraduate Medical School “as he did not like changes nor did he look for honours”. The authors say that that mentioning Prof. Azzopardi’s name “results in an immediate association with breast pathology”, although they point out that he can be included into the “general surgical pathologist-morphologist-pathobiologist species”. It says that 30 years later, an issue of ‘Seminars in Diagnostic Pathology’ entitled ‘Problems in breast pathology revisited’ was written by some of those who had worked directly with Prof. Azzopardi or had been influenced by his unique insights to the field. The article says that most of Prof. Azzopardi’s trainees would discover – as long as they followed his simple rules – “a fatherly teacher, a generous friend, and sometimes the target of one of his abrasive but well-intentional remarks”. Prof. Azzopardi is survived by his wife Sally, two children (Timothy and Joanna), and four granddaughters.